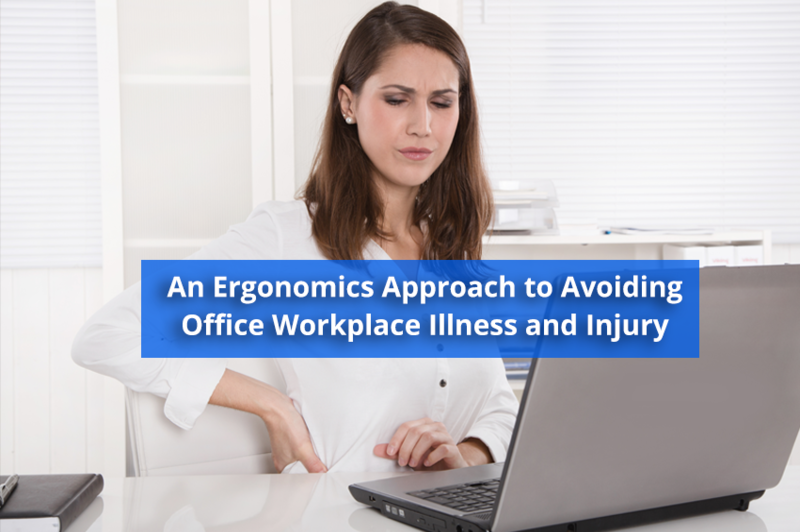 Ergonomics C| Office Ergonomics - Solutions Northwest, Inc. According to Occupational Safety and Health Administration (OSHA), most general industry incidents involve slips, trips, and falls. We’ve all had our clumsy spills in the office, but it’s important to understand that cleaning a spill is serious business. It may be tempting to leave the small spill for the janitor to find, but that small spill could lead to a major slip and fall injury. According to the National Safety Council (2011), “research finds that ‘fall from the same level injury’ is one of the highest injury causes” in the workplace. Always clean up spills that you see, even if it wasn’t your fault. Stay proactive, clean all spills immediately, and post proper hazard signs on wet surfaces that are being cleaned to prevent slips. Also, be mindful that not all slips will come from spilt beverages, so it is important to keep an eye out for them while you walk around the office. For example, wet floors from rain, exposed cords, unstable work surfaces, uneven floors, loose rugs, cluttered areas, or even dusty areas may cause employees to slip and injure themselves. To prevent tripping, be sure not to allow any clutter (like boxes) to enter any walking paths of the office. Be sure that all tripping hazards like phone or electrical cables are properly installed and tucked away. OSHA mandates that employers shall provide a training program for each employee who might be exposed to fall hazards, so make sure your Human Resources department has developed an office safety plan. Every office safety plan should be reviewed annually and updated whenever changes in procedures or the office environment could create new hazards or impact existing ones. Additionally, posting reminders near food and drink stations is a great idea. Stay educated by researching common office safety hazards to help prevent work related injuries. To learn more about work safety issues, visit us at SolutionsNW.com or Contact Us for more information. You may have never heard computer glasses, but with so many jobs requiring workers to stare at screens, products like computer glasses have started to gain interest among office workers and in industries that require a lot of screen time. Jobs that require a lot of computer, tablet, or phone screen time may cause workers to experience eyestrain or eye fatigue, which is often associated with headaches, neck or back pain, sensitivity to light, dry or red eyes. With digital eye strain or computer vision syndrome being so common in today’s work place, should you or your employees consider using computer glasses? Computer glasses look just like regular glasses and are usually around the $50 to $100 price range. Unlike regular glasses, computer glasses are designed specifically to reduce eye strain associated with staring at a screen. Computer glasses are made with an anti-reflective coating to reduce screen glare and harsh light. Most of these glasses will also filter the blue light that your computer screen emits. Filtering blue light should reduce negative symptoms of staring at a screen. Computer glasses should make it easier to do your daily computer work. Feeling headaches, eyestrain, blurred vision, dry eyes, or even neck and shoulder pain can be reduced. 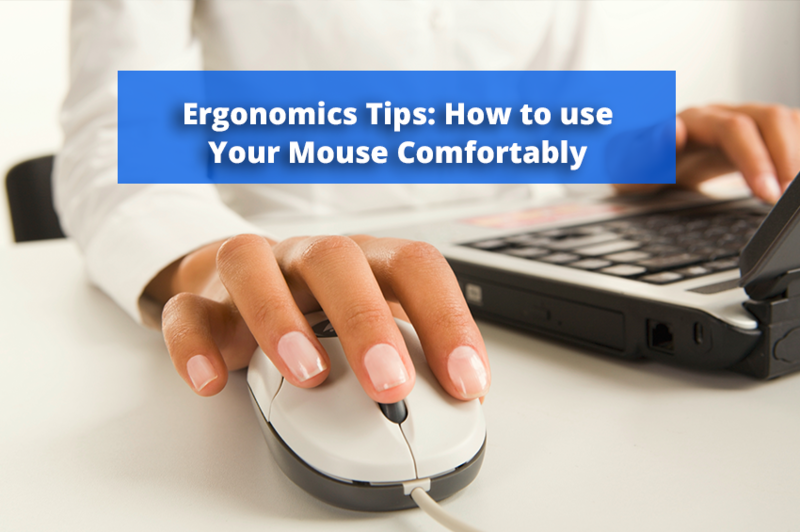 In fact, your posture may improve as well because you won’t have to hunch closer to the screen as much. What if computer glasses aren’t for you? Additionally, you can try adjusting your screen to a more comfortable setting or just taking frequent breaks at work. Remember to always consult with your doctor to rule out a possible underlying cause of pain. Whether you decide to try computer glasses or do eye exercises, remain proactive to prevent workplace injuries. 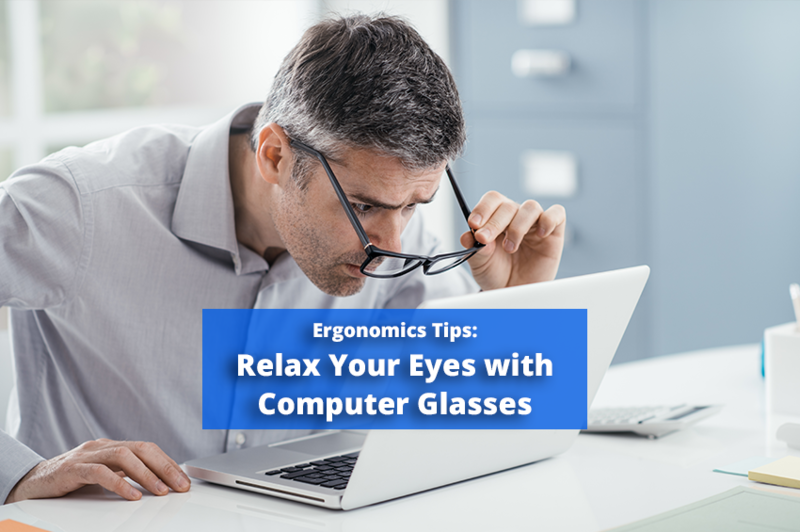 Hopefully these ergonomics tips can help you avoid digital eye strain and any other negative effects that staring at a screen may cause. 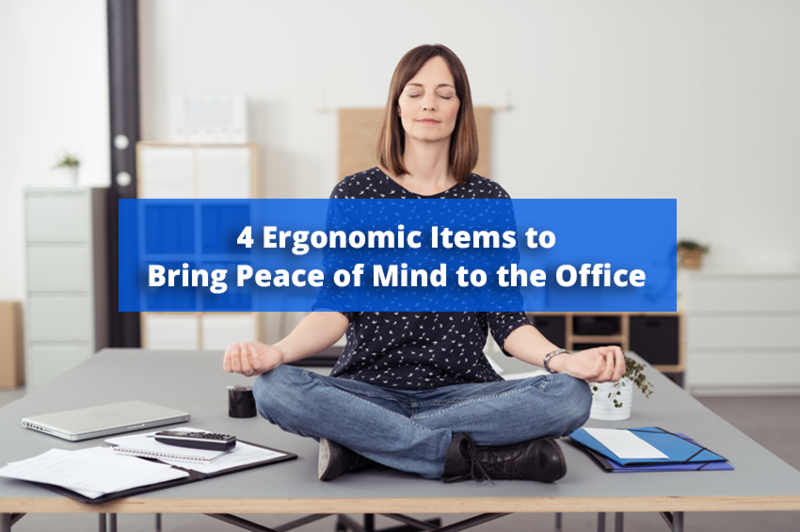 Be sure to share these tips with the rest office workers or employees. For more guidance on all work related health and safety issues, visit SolutionsNW.com or Contact Us for more information.